I posted this blog 10 months ago…following yet another mass killing. I am re-posting today. It is more relevant than ever. I don’t read People Magazine, even in doctor’s offices but I may have to start! People Magazine published all the numbers of our Congressional representatives, all of them. And People is asking people – that’s you and me – to call our elected officials and demand that they start the process of controlling access to guns. Clearly guns are out of control in the US. Why are so many people being shot in the United States? Guns and a whole lot of them. Just look at the map showing rates of gun ownership by country. Want to see our numbers in color with pictures? VOX has assembled statistics on guns and gun violence from the CDC, Harvard’s School of Public Health, Mother Jones News, Pew Research and several other venerable resources. Read the numbers, please. If you read nothing else, read the Vox compilation about guns in America. And remember, the people who died did so because they made the mistake of just being somewhere where there was mad man with a gun. Bottom line, stacked up against the rest of the so-called” countries We kill more people with firearms per capita than any other country. People are dying…for gun control. 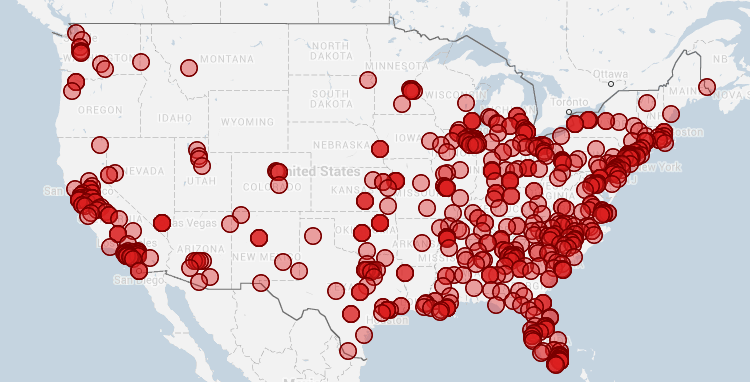 Since Sandy Hook, in 2012, there have been 986 mass shootings in this country. More than 1200 people have died and 3565 have been wounded. How is it possible that we can continue to call this an argument over the right to bear arms? Isn’t it really an argument about the right, my right, our right to be protected from people with “arms” who should never have gotten them? At what point do we figure out that GUN CONTROL IS A PRIORITY. I am not saying take away guns. My sisters both have guns and concealed carry permits. I own a gun. We were taught how to shoot before we hit 3rd grade and the best birthday present I ever got was my own rifle. I was 11. Guns are not the problem folks; gun control is. How many more men, women and children will die before the courage to create a gun control system is summoned? How quickly would you want gun control if your child was gunned down while sitting in the lunch room of her school? I started with People Magazine; I will end with part of the article they ran with the phone numbers. And I will ask that each and every one of you use these phone numbers before it is your child, wife, sister, brother, husband, mother or father who is killed for not more reason than being in the wrong place at the wrong time. Pick up the phone. Make the call. Before it is too late.